Rosetta Marie McClure was a 20 year old black female at the time of her death. McClure was reported missing by her mother to the Charlotte Police Department on April 27, 1977. McClure’s body was found on the roadway leading to the Belfonte Presbyterian Church cemetery. Anyone with information regarding this homicide is asked to contact the Cold Case Investigation Unit. Robert Louis Alsbrook was a 30 year old black male at the time of his death. Alsbrook was from Charlotte and resided in the Hidden Valley neighborhood. Alsbrook was shot while sitting in his car, parked in the parking lot of the former Cabarrus County Fairgrounds, Cabarrus Avenue West, Concord, NC. Alsbrook ran from his automobile to a tent revival located across from the fairgrounds on Union Cemetery Road where he was shot a second time. Anyone with information regarding this homicide is asked to contact the Cold Case Investigation Unit. Ray Field Carter was a 32 year old black male at the time of his death. Carter resided in Charlotte. Carter was last seen alive leaving his home in his 1973 Pontiac Catalina four door automobile during the early morning of April 19, 1982. Carter’s body was found the following morning in a wooded area at the former dead end of Earnhardt Road. The area has since been developed and is the site of Copperfield Boulevard. Carter's automobile was never found. Anyone with information regarding this homicide is asked to contact the Cold Case Investigation Unit. Kennard Elliott Littlejohn was a 32 year old black male at the time of his death. Littlejohn resided in Charlotte. Littlejohn was a computer specialist who had just returned to the United State from Saudia Arabia. Kennard was last seen alive on February 15, 1984 leaving his apartment. Littlejohn's body was found off Blossom Drive on February 17, 1984. Anyone with information regarding this homicide is asked to contact the Cold Case Investigation Unit. Jerry Wayne Osborne was an 18 year old white male at the time of his death. Osborne resided in Cabarrus County with his grandmother. Osborne was found in his grandmother's home with a gunshot wound. Osborne was transported to a local hospital where he later died as a result of the gunshot wound. Anyone with information regarding this homicide is asked to contact the Cold Case Investigation Unit. Frances Hess Souther was a 56 year old white female at the time of her death. 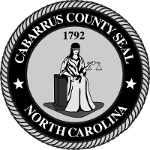 Souther resided in Cabarrus County. Souther was employed as a cafeteria worker at a local elementary school. Souther was last seen alive on the evening of Wednesday, November 25, 1992 by a neighbor who saw Souther in her carport. Souther’s body was found in her home by her daughter on Friday morning, November 27, 1992. Anyone with information regarding this homicide is asked to contact the Cold Case Investigation Unit. Shelia Ann Bryant was an 18 year old white female at the time of her death. Bryant resided in Kannapolis with her mother and boyfriend. Bryant was reported missing by her mother on February 26, 1997 after having left her home in Kannapolis to walk to a nearby payphone. Bryant’s body was later found on Sunday, March 2, 1997 at former gravel pit in Concord. Anyone with information regarding this homicide is asked to contact the Cold Case Investigation Unit. Bobbie Jo Doster Johnson was a 26 year old white female at the time of her death. Johnson resided in Concord with a friend. Johnson was last seen alive leaving the apartment with an unknown male on December 24, 1998. Johnson’s body was found in a wooded area off Pleasant Grove Church Rd., Kannapolis, on December 28, 1998. Anyone with information regarding this homicide is asked to contact the Cold Case Investigation Unit. Juan Castro-Ramos was a 39 year old Hispanic male at the time of his death. Castro-Ramos resided in Charlotte. Castro-Ramos’ body was found in a wooded area of NC 49 near Cold Springs Road, Concord, NC. Anyone with information regarding this homicide is asked to contact the Cold Case Investigation Unit. Katherine Alice Moody was an 18 year old white female college student at the time of her death. Moody was last seen leaving her parent's home in her automobile on Saturday, September 14, 2003. Moody was reported missing by her mother to the Cabarrus County Sheriff’s Office. Moody’s body was later found on Sunday, October 19, 2003 off Shiloh Church Rd., Davidson, NC. Anyone with information regarding this homicide is asked to contact the Cold Case Investigation Unit. Betty Ann Stevens was a 45 year old white female at the time of her death. Stevens’ resided on Ashland Road, Kannapolis. Stevens’ body was found in her home by a family member on Sunday evening, October 31, 2004. Stevens was last known alive at her home on Saturday, October 30, 2004. Anyone with information regarding this homicide is asked to contact the Cold Case Investigation Unit.